First ascent H.F. Wright, 1914. 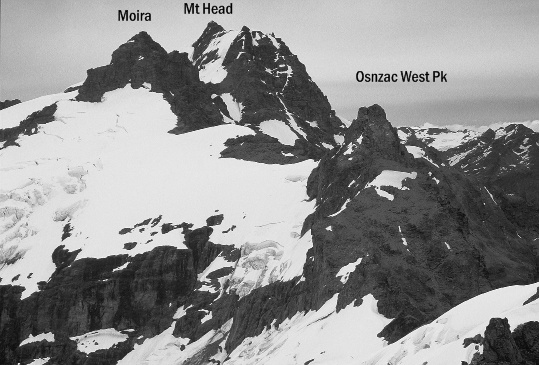 From the North or West Hunter climb to the col between Mt Head and Moira Peak via the South East Ridge and the Grant Glacier (refer to West Ridge of Head Pk). Then follow the ridge to the summit.